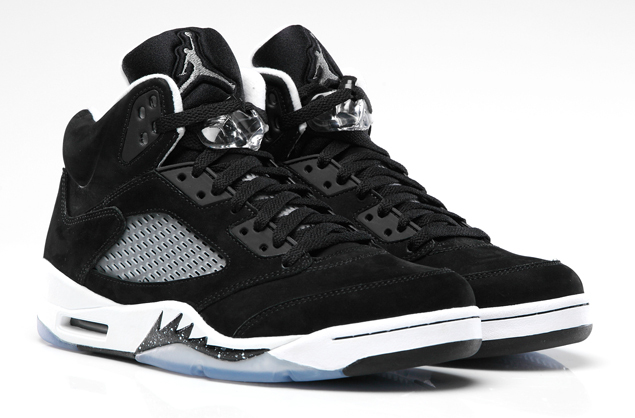 The Air Jordan 5 Retro “Black/White” is as timeless as Michael Jordan himself. This colourway features an all Black suede upper with a Cool Grey Jumpman on the tongue. White speckling covers the Black shark teeth, originally inspired by WWII Mustang fighter planes. A matching white midsole and sockliner completes the classic look. We will have the “Black/White” Air Jordan available November 29th 2013 at Noon (12pm EST) $170.